Best of luck to Maddie Smyth (3rd Year) in her new role as Junior Captain of Tullamore Golf Club for 2017. Congratulations to Joanne Glynn (2nd Year) on winning the Junior Captains Prize and to Katie Hennessy(2nd Year) for winning Golfer of the Year. 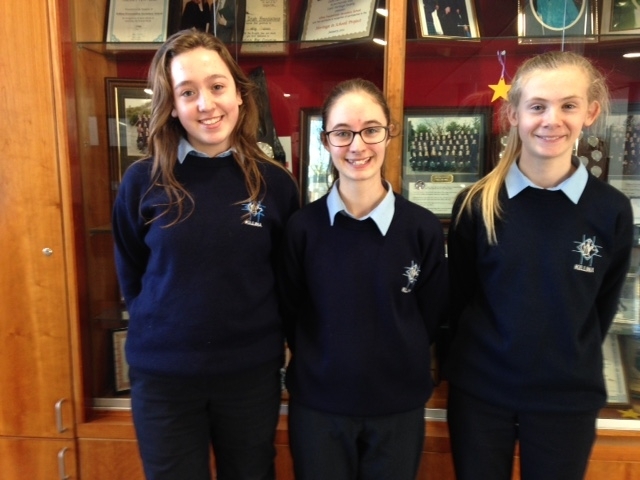 Pictured from left to right: Joanne Glynn, Maddie Smyth and Katie Hennessy.